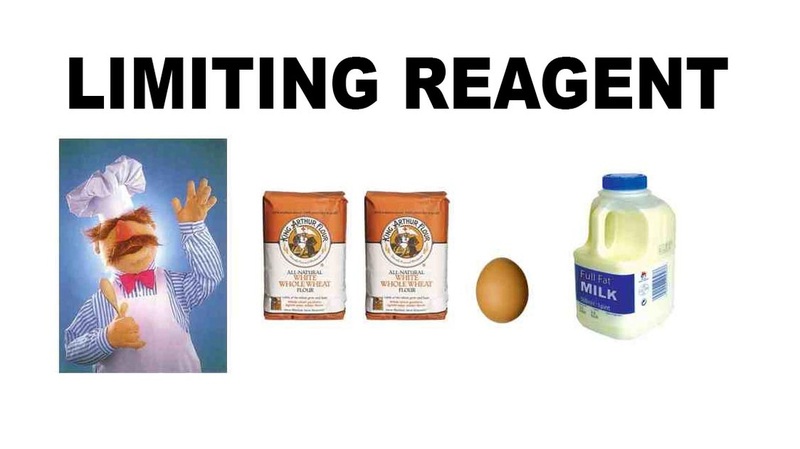 With the help of the Swedish Chef, and a household cooking recipe for pancakes; this keynote presentation shows how to determine limiting reagents. The file is a quicktime video file where you click to advance the slides. This is all I can do for now as I cannot embed the presentation into the page.